Posted by Main St. Cuisine in Chicken Recipes, Mondays on Main St.
I’m feeling quite a bit behind on things lately. Returning emails. Returning phone calls. Keeping up with my little blog. I’ve taken to writing to-do lists, which seem to work really well. Sometimes, I’ll use my planner while others are lengthy lists written on a white legal pad. Yikes! Case in point. 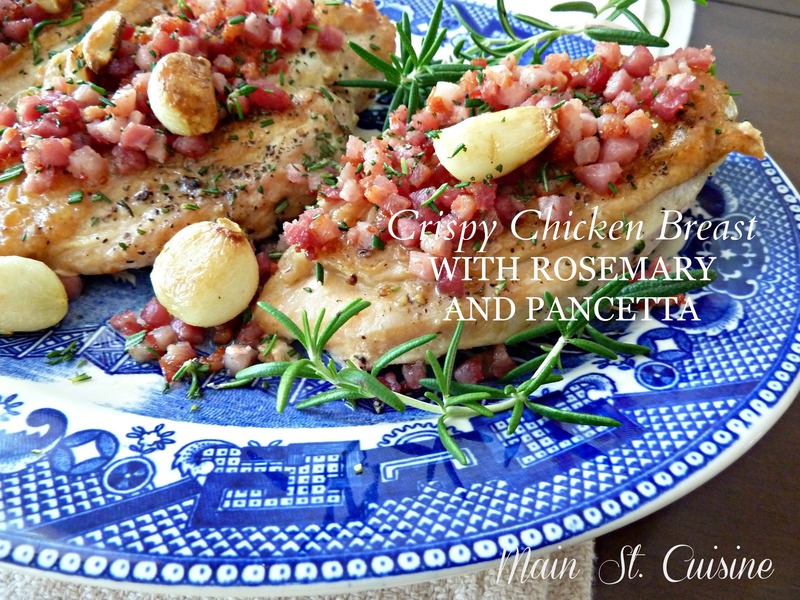 I really wanted to share this crispy chicken breast recipe with you last week, but it got lost in the shuffle. Let’s make a pact that for the rest of May, we stay on top of everything. From to-do lists, to laundry. From carpooling to dog grooming. We can report back June 1st with any successes. I feel a virtual high five coming on. I found inspiration for today’s Mondays on Main St. post from a recipe in Katie Lee’s first cookbook the comfort table. She just recently published Endless Summer Cookbook and it looks like a fun book to peruse while you lounge on your screened in porch, sweet tea in hand. Last week I went to a really fun gardening class all about herbs. Ahead of the class we had a fantastic dinner where each course featured a particular herb. At the conclusion of the class we selected three fresh herbs and planted our container. The fresh rosemary came in hand for this particular recipe. To get started, you will need 4 chicken breasts with the skin on. If you can’t find a butcher who will remove the the bones and leave the skin on, you’ll need to buy 4 breasts and remove the bone yourself (a paring knife will work well). Takes a bit of practice, but it’s really easy. Season the breasts well with kosher salt and fresh ground black pepper. 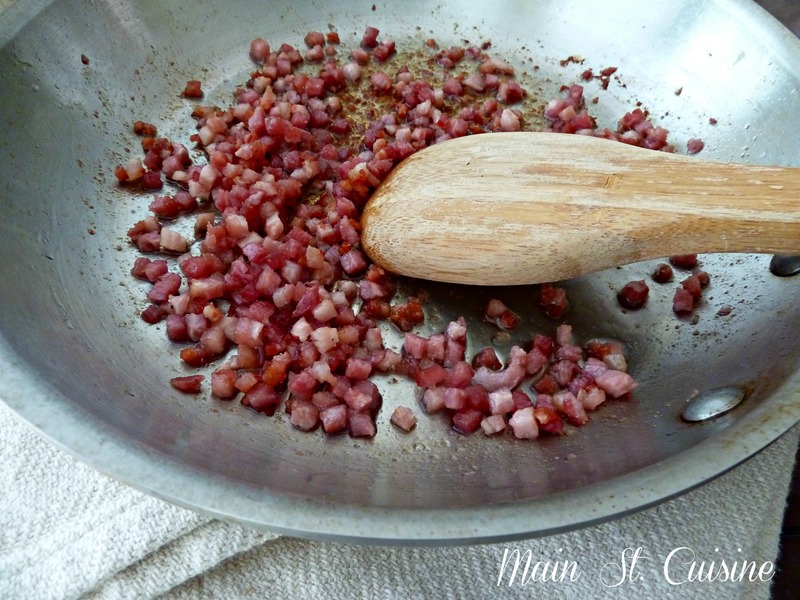 In a 10-inch skillet cook 4 ounces of diced pancetta over medium heat, stirring regularly until crispy. Drain and reserve 1 tbsp of the rendered fat. Add 1 tbsp of olive oil and 12 peeled garlic cloves to the same skillet. Cook until the cloves are just beginning to turn golden. 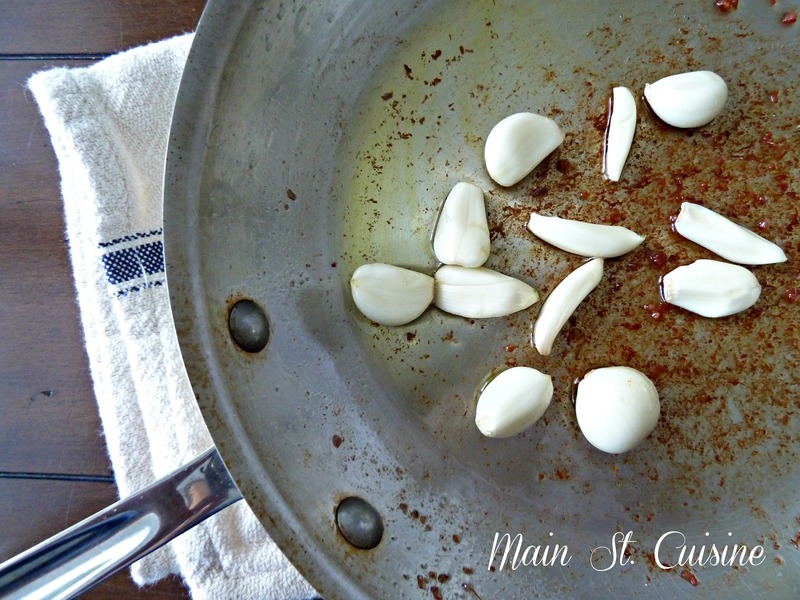 One tip I can share is to use the same sized garlic cloves. The little skinny ones will brown in the skillet and burn when you transfer to the oven. Finish the garlic in the oven for an additional 3-5 minutes. I realized I don’t have photos of me adding the boned chicken breast halves to my skillet, but you’ll use a separate larger skillet to do this. I used a 12-inch skillet over medium heat with 1 tbsp canola oil. The chicken goes in skin-side down to get it really crispy and then finish it in the oven for 7 to 8 minutes. When the chicken is done, carefully remove your skillet from the oven (I like an oven mitt to avoid any oil splatters) and transfer it using tongs, to your serving platter. 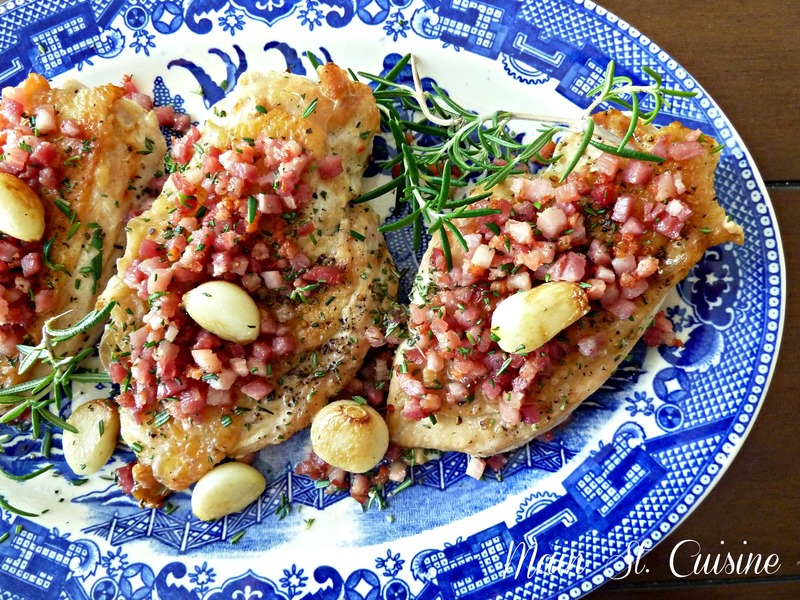 Top the crispy chicken breasts with the pancetta and garlic cloves. Sprinkle ¾ tbsp of fresh chopped rosemary over each and then garnish with additional sprigs of fresh rosemary. Preheat oven to 400°. 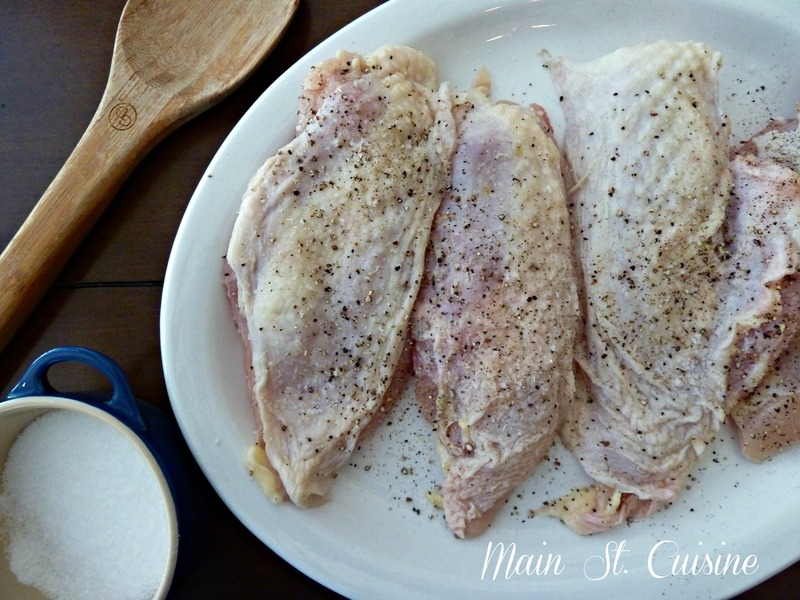 Season both sides of chicken breast halves with salt and black pepper. Set aside. In a medium oven-proof, 10-inch skillet cook the diced pancetta using a wooden spoon to stir until crispy. Remove the pancetta with a slotted spoon to a paper towel-lined plate. Reserve 1 tbsp of rendered fat. Add the olive oil and cook garlic cloves until just golden. Transfer the skillet to the oven and bake an additional 3-5 minutes. Watch carefully so they do not burn. Remove the skillet from the oven and using your slotted spoon, remove the garlic cloves to a small bowl. In a 12-inch skillet, heat canola oil over medium-high heat until hot. Carefully add chicken breasts, one at a time, skin-side down. Let cook 3-4 minutes or until skin is crispy (lift chicken up just a bit to look at the skin). Transfer the skillet to the oven and continue to cook in the oven for 7-8 minutes or until a meat thermometer registers 165°. 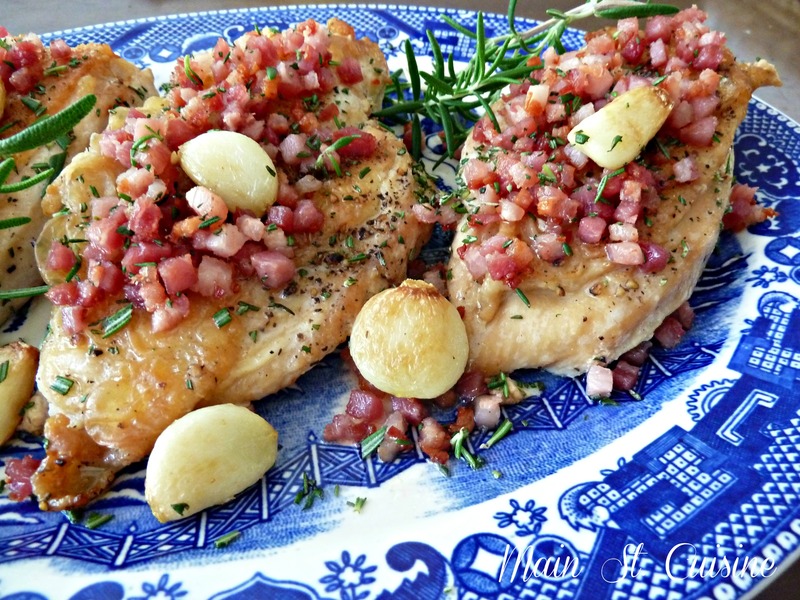 Transfer the chicken to a platter and top with pancetta, garlic cloves and chopped rosemary. 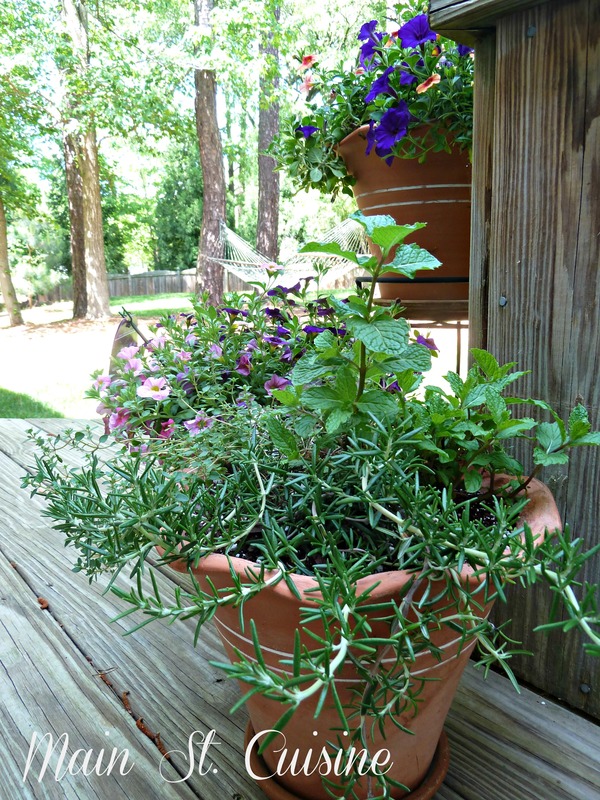 Use additional sprigs of fresh rosemary to garnish your platter.